Spring 1862. The Confederate Army in the West teeters on the brink of collapse. General Albert Sidney Johnston is forced to abandon the critical city of Nashville and rally his troops in defense of the Memphis and Charleston Railroad. Hot on Johnston's trail are two of the Union's best generals: Ulysses Grant and Don Carlos Buell. If their combined forces can crush Johnston's army and capture the railroad, the war in the West likely will be over. There's just one problem: Johnston knows of the Union plans and is poised to launch an audacious surprise attack on Grant's encampment--a small settlement in southwestern Tennessee anchored by a humble church named Shiloh. 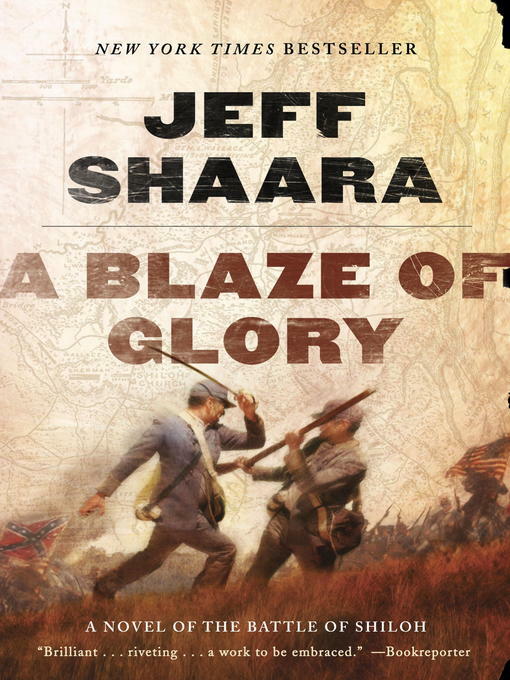 Drawing on meticulous research, Jeff Shaara dramatizes the key decisions of the commanders on both sides of the conflict--and brings to life the junior officers, conscripts, and enlisted men who gave their all for the cause. With stunning immediacy, Shaara takes us inside the maelstrom of Shiloh as no novelist has before. Includes a preview of Jeff Shaara's next Civil War novel, A Chain of Thunder.